Laser-driven acceleration; frequency conversion; harmonic generation; ultra-fast processes; relativistic plasmas. This article presents an overview of the physics and applications of the interaction of high intensity laser light with matter. It traces the crucial advances that have occurred over the past few decades in laser technology and nonlinear optics and then discusses physical phenomena that occur in intense laser fields and their modeling. After a description of the basic phenomena like multiphoton and tunneling ionization, the physics of plasma formed in dense matter is presented. 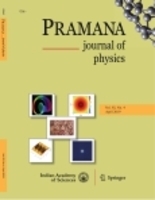 Specific phenomena are chosen for illustration of the scientific and technological possibilities – simulation of astrophysical phenomena, relativistic nonlinear optics, laser wakefield acceleration, laser fusion, ultrafast real time X-ray diffraction, application of the particle beams produced from the plasma for medical therapies etc. A survey of the Indian activities in this research area appears at the end.